As we look back on 2012 we are thankful for all our clients, partners, staff and friends, making it one of the best of our nearly 17 years in business. You've helped keep us busy with so much to do that we haven't been able to blog, send email newsletters or finish our brand new responsive website. But we did want to send a heartfelt message to thank all of you for putting your trust in Trivera! They all discovered for the first time the joy of working with Trivera's team of talented professionals with new website projects. And thanks to them...and you...2013 will be even brighter. Watch for some exciting news from Trivera later this month as we add even more value to our clients' digital strategies and offer a wider and deeper array of services and skills to make your 2013 successful. 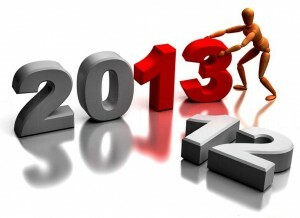 Here's to 2013 being a great New Year for us all!